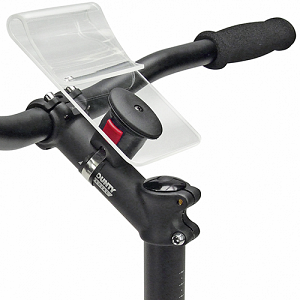 Handy map-holder completely made of plexiglass, easily mounted onto handlebar or stem using the KLICKfix Mini-adapter. All map sizes simply slide in. With quick release system, easy to remove by pressing the red button. Can also be used in combination with handlebar bags. Two sizes available.